Happy Sunday! 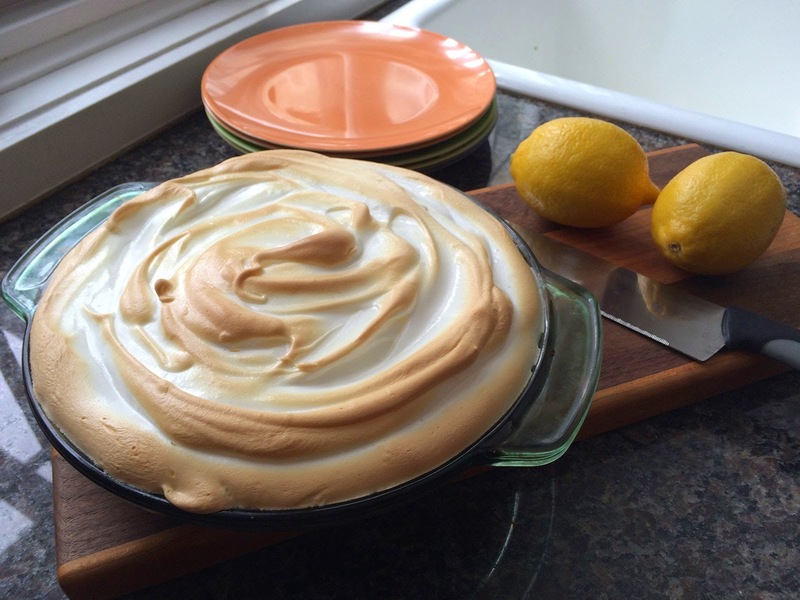 I peaked out my window and it's still looking a little gloomy today, so I thought I would share a recipe that reminds me of the warm spring days we're all longing for right about now: Lemon Meringue Pie. I baked this dessert on Valentine's day for Howie because he isn't a huge fan of chocolate (apparently these type of creatures exist?? ), and he absolutely loved it. How couldn't you? There's nothing else quite like a tangy lemon custard filling over a crunchy, buttery graham cracker crust, topped with fluffy, sweet meringue that gets lightly toasted in the oven. 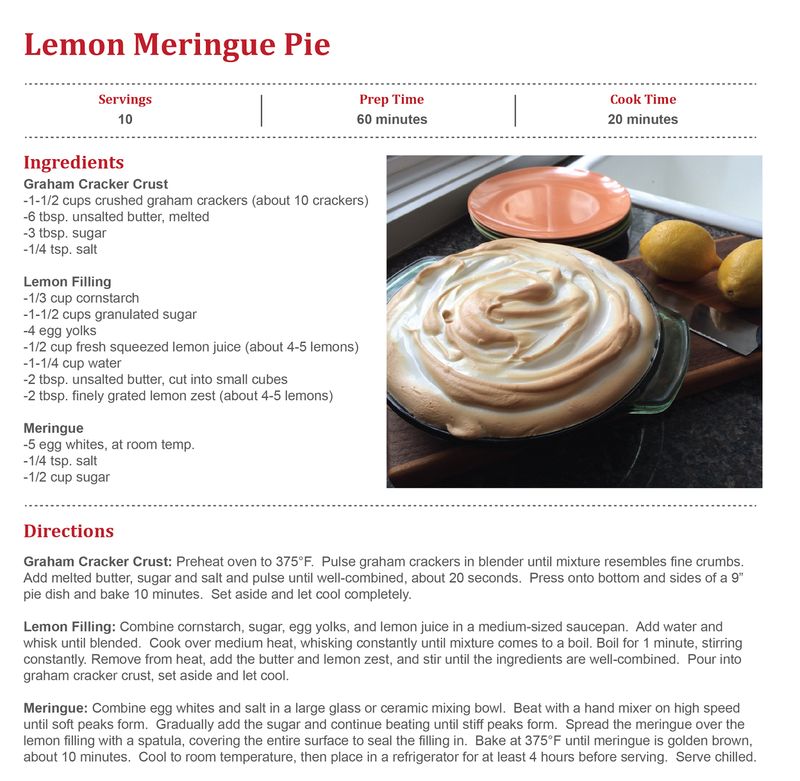 Try baking Lemon Meringue Pie this afternoon to bring a little fresh springtime flavor into your kitchen! 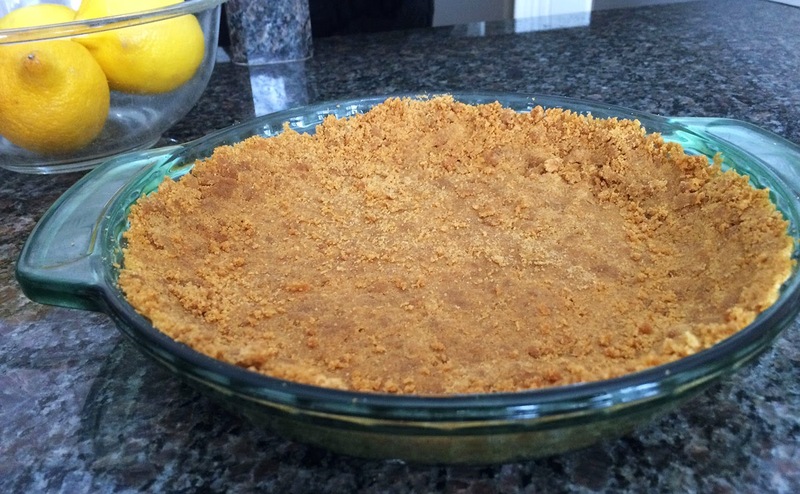 Instead of making regular pie crust for this recipe, I opted to make a graham cracker crust that would better balance the tangy lemon flavor of the filling. After I preheated the oven to 375° F, I pulled out my favorite kitchen gadget, my Nutri-Bullet blender. I let the steel blades do all the work when it came to crumbling the graham crackers. 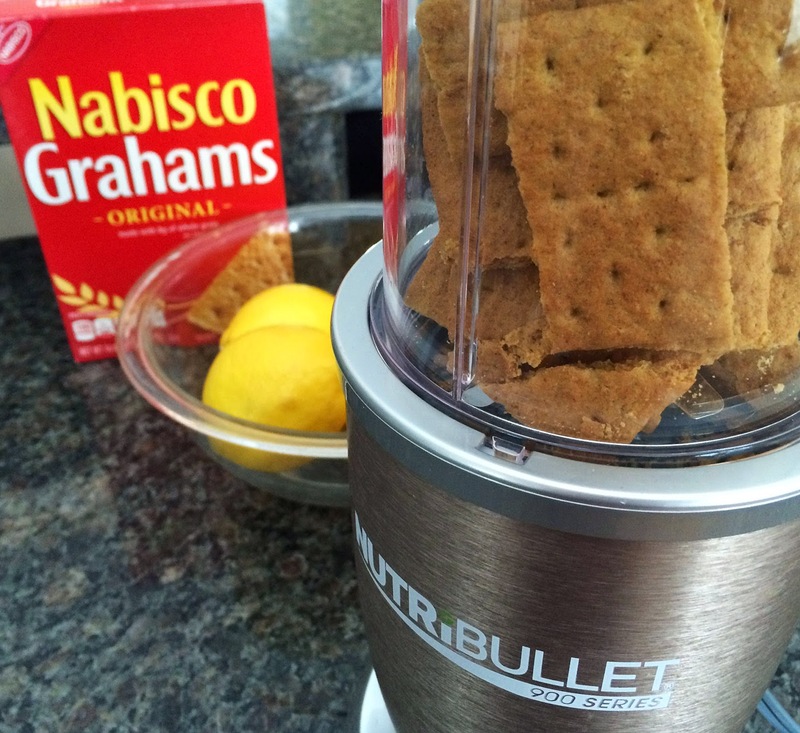 If you don't have a blender, you can definitely use your hands, but I love that the blender can crumble the graham crackers into a much more even size and texture than I can do on my own! Once the graham crackers resemble fine crumbs, add the sugar, salt and melted butter to the blender and pulse until the ingredients form a smooth consistency, about 20 seconds or so. I immediately pressed the graham cracker mixture to the bottom and sides of a 9" diameter pie dish. Don't worry about the crust looking perfect because the lemon filling and meringue will completely cover the crust. It can get a little tricky pressing the mixture up onto the sides, but be patient and, most importantly, gentle; it might seem a little too crumbly but we're gonna bake the crust in the oven for 10 minute in order to seal the ingredients together. After you remove the crust from the oven, set it aside and let it cool while you prepare the filling. 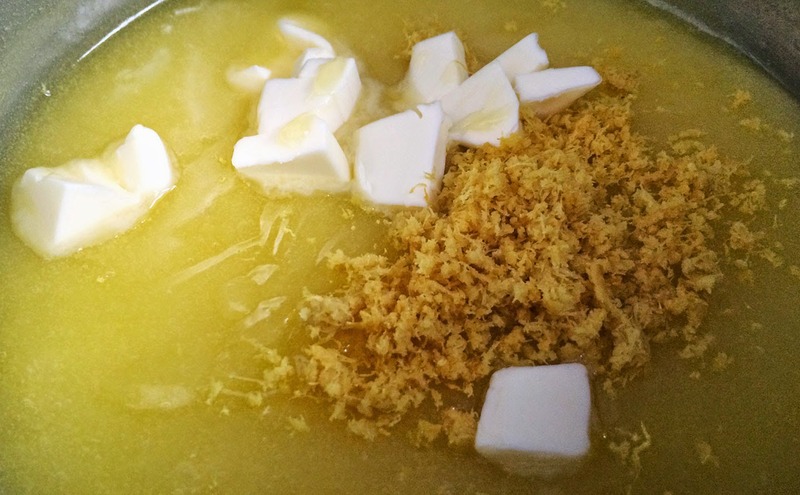 For the lemon filling, I whisked together cornstarch, sugar, egg yolks and lemon juice in a medium saucepan. Once this mixture was a smooth consistency, I added water and continued whisking until all the ingredients were well-incorporated. Time to cook everything together! I turned the stove up to medium heat and stirred the mixture constantly until it came to a boil, then let it boil for 1 minute longer. 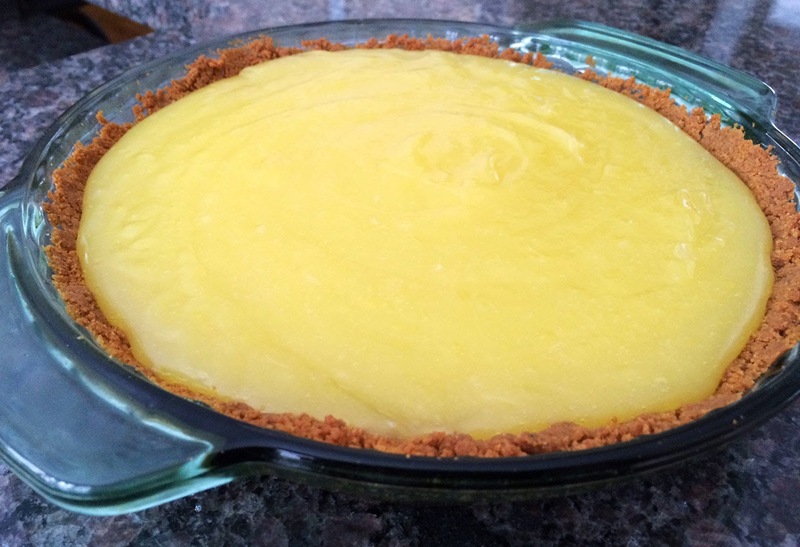 I removed the mixture from the heat and quickly stirred in the remaining butter and lemon zest until the filling was a nice and silky texture. Be sure to have the lemon zest ready before you start making the filling because it takes a little bit of time to zest and juice the lemons. I zested 4-5 lemons first, set the zest aside, and then juiced the lemons. 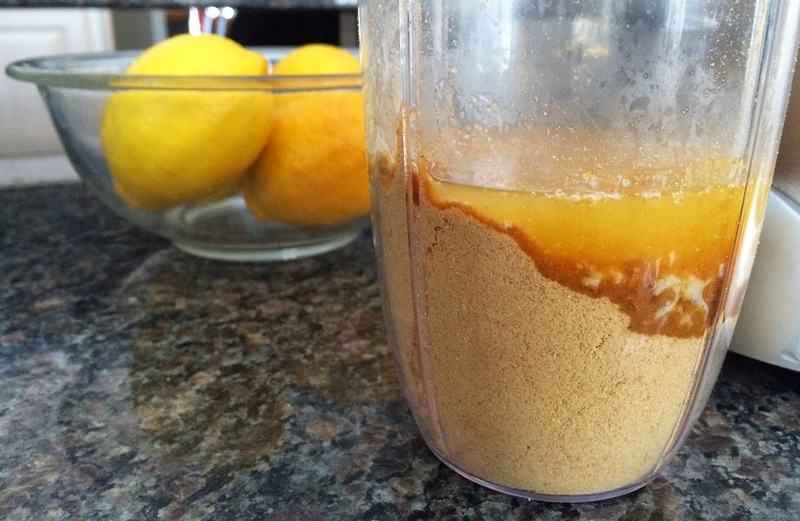 It's almost impossible to zest after juicing, so be sure to zest first! Once the filling was complete, I poured it into the graham cracker crust and set it aside while I prepared the meringue. For the Meringue, I have 2 rules. Rule #1: Don't be intimidated! I feel like it's always hyped up to be some sort of baking feat, when it doesn't have to be at all! 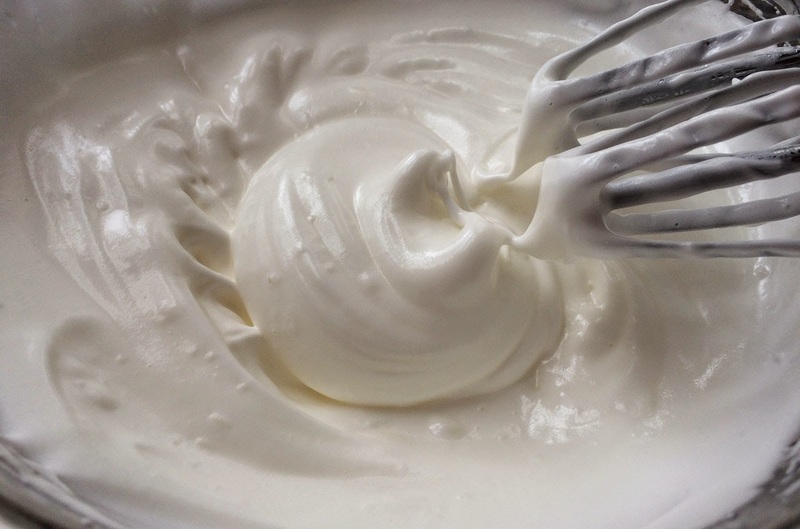 All you need is a glass or ceramic bowl, a hand mixer, egg whites, salt and a little sugar. Rule #2: DO NOT attempt to make meringue in a plastic mixing bowl; there is actually a chemical in the plastic that inhibits the egg whites from forming stiff peaks. I combined the egg whites and salt in a large mixing bowl and beat them together with a hand mixer until they started to form soft peaks. This is the point at which the eggs are starting to turn into meringue, but they can't hold their shape yet. Then I gradually added the sugar to sweeten the meringue, and beat it until stiff peaks formed. This whole process took me about 5 minutes, but it could go faster or slower depending on your kitchen temperature, hand mixer, ingredients, etc. 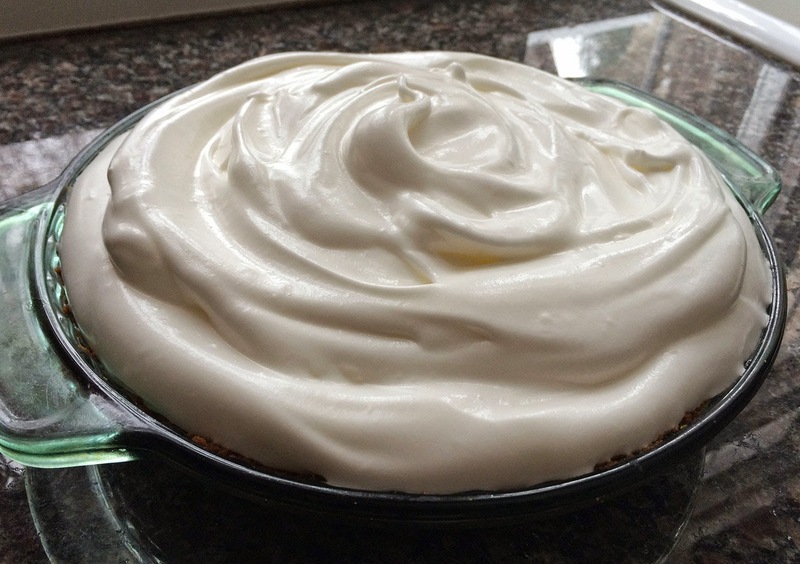 I swirled the meringue over the pie with a rubber spatula until I thought it looked pretty, no rocket science here! Be careful not push the meringue down into a smooth single layer like frosting a birthday cake, but rather think of it as soft serve ice cream; you want to be able to see the swirls. Plus, the fine edges of the meringue swirls are the parts that get nice and toasted in the oven yummm. I popped the pie in the 375° oven for about 10 minutes, until the meringue was nice and golden brown. Definitely gets my vote as one of the prettiest (and tastiest!) desserts that you could make to bring a little spring to your winter day!